This week on Talent Tuesday, we feature Asvini Ravindran. 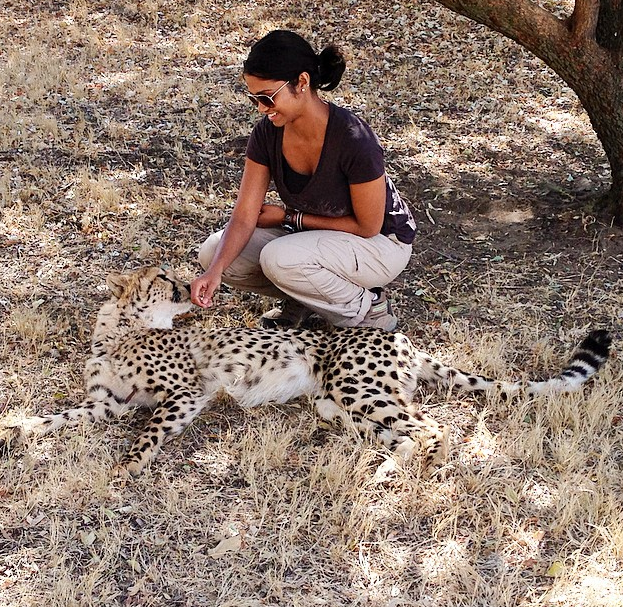 Asvini is a young animal activist from Toronto who has completed volunteer work with endangered species in South Africa. She is a passionate activist who has begun speaking out under her Youtube Channel Paws & Claws. Through this channel, she discusses topics such as tiger temples, wearing fur for fashion, and use of plastic free products to name a few in her ongoing efforts to raise awareness. Check out some of her informative videos! This entry was posted on Sunday, June 21st, 2015 at 11:31 am	and is filed under Cafe, News. You can follow any responses to this entry through the RSS 2.0 feed. You can leave a response, or trackback from your own site.